"It is not easy to find another contact sport which remains so open to smaller players," FIFA wrote in an article on its site after the 2010 World Cup, which was titled "Little guys enjoying last laugh." Being small doesn't have to be a disadvantage in football and truth is, being close to the ground is a major advantage for midfielders and forwards. Lionel Messi, Sergio Aguero and Nathan Dyer are amongst the shortest players in football, but the quality of their soccer artistry is incomparable. “Sometimes those who start with everything in their favour end up not working hard enough. For us short guys, when we decide to do something we give it 120 per cent. The mental side drives you on,” France 1998 winner, Bixente Lizarazu (1.69m), told fifa.com in the same article. 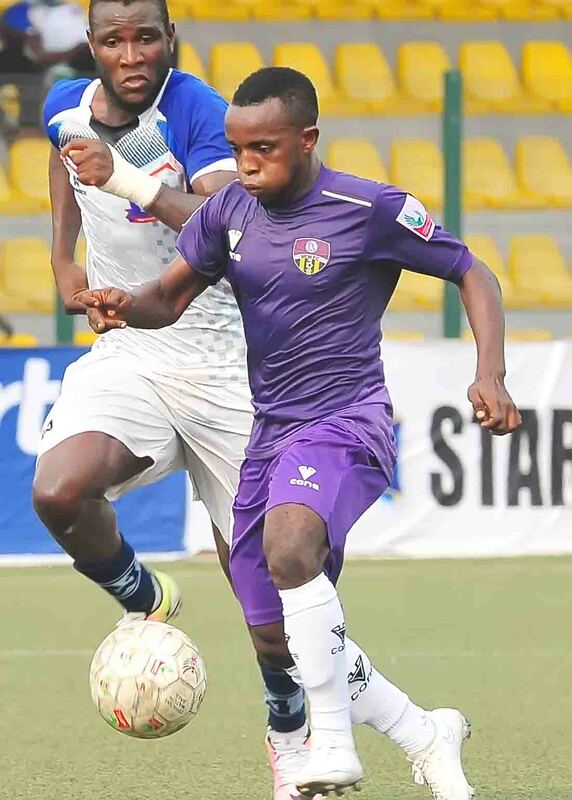 Back home in the Nigeria Professional Football League, the most recognizable figure in the heart of high flying MFM’s midfield is the diminutive Chukwuka Onuwa. Standing at 5ft 2in, the energetic midfielder is undoubtedly one of the shortest in the NPFL. Despite his height, Onuwa is both technically marvelous and a real treat to watch. In fact, he can be unplayable with his ability to open teams up with his passing and clearly one of the reasons for MFM’s extraordinary performance. Ironically, many short-sighted football scouts continue to use height as a determining factor in their decisions. Interestingly, he is proud of his height. 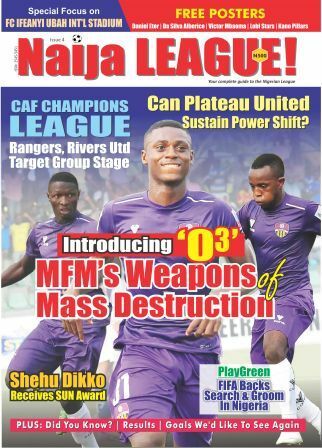 Onuwa revealed this in the latest edition of Naija LEAGUE! the only all-colour publication on the NPFL. “If there is an award, I will gladly receive it. Football is not about height, but the ability of a player. “I am enjoying my time at MFM. I didn’t play a match at Shooting Stars, but they wanted me back last season. Despite his size, Onuwa has maintained a commanding role in the middle-of-the-pack for his side. Onuwa has clearly emerged a victorious general in midfield duels with several players in the big sides. Clearly, one of the best in the trade this term, as he started the build-up to Sikiru Olatunbosun’s thunderous goal which won the ‘CNN Goal of the Week’ and Stephen Odey’s goal at Enyimba, on Saturday, came from his assists. In fact, Onuwa’s pass to Odey fooled no fewer than four Rangers’ players. No surprise, he has since emerged a cult figure amongst the fans as his combination with Olatunbosun and Odey earned the trio the acronym ‘03’ by Naija LEAGUE! Magazine editorial team. “What I lack in height comes in other areas. For instance, my passing have turned out to be a blessing,” he stated. Indeed, Onuwa is one of the best passers of the ball in the NPFL. Onuwa remains focused on his ambition of playing abroad and wearing Nigeria’s green-white-green for national duty. “My former teammate at 36 Lions, Sodiq Popoola is just as tall as I am. He plays in Europe and was in Nigeria’s team to the Rio Olympics.